Our facilities, located in Tallahassee Florida, house thousands of manual (standard) transmissions, transfer cases, cores and completely rebuilt transmissions. We specialize in rebuilt Front Wheel & All Wheel Drive transaxle (FWD & AWD), Rear Wheel Drive transmission (2WD) and Four Wheel Drive transmission and transfer cases, for Domestic, Japanese, and some European. We offer a broad range of rebuilt transmissions from three (3) thru Seven (7) speeds, covering light cars and trucks, up to five (5) tons. We offer rebuilt transmission conversion packages for going from automatics to manual (standard) transmissions, plus going from three speed transmission all the way up to six speed transmissions in Ford Bronco & Mustang, Chevrolet Camaro Corvette & trucks, Dodge trucks, Jeep Cherokee & Wranglers, and Muscle Cars. So if you’re thinking about a transmission upgrade, Man-Trans is you number one source for complete rebuilt transmission & transfer case needs. We offer YUKON Gear & Axle. Built to perform, built to last. The highest quality differential parts available for race, off road, or street. We’re an authorized Distributor for Advanced Adapters Inc., B&M Racing & Performance Products, KLUNE-V, The Extreme Underdrive System, Yukon Gear & Axle, and Cable X the simple solution for mechanical & electronic speedometer signals. Our transmission Parts department stocks aisles & aisles of new and good used transmission & transfer case hard parts, bearing kits, seals, gasket, and small part kits. We carry a large selection of the hard to find parts for the older model gearboxes. If you’re not sure about the parts you need, contact one of our transmissions & transfer case sales specialist will be glad to help you. 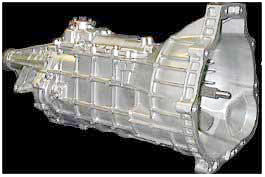 Why pay more when you can save 25-45% on a Man-Trans remanufactured transmission & transfer cases that is rebuilt to meet and exceeds OEM standards by qualified professionals transmission specialist, tested on industry leading equipment, and guaranteed by our 12 month/unlimited mileage warranty? ManTrans, LLC conducts business primarily thru direct telephone advisement and sales, since matching the correct rebuilt manual transmission or transfer case to your vehicle is a vital step in the ordering process. Our customers prefer to be able to talk to one of our manual transmission and transfer case sales specialist to describe their needs, rather than scrolling and clicking to order items online and hoping they've ordered the correct rebuilt manual transmission or transfer case for their vehicle. The ordering process will be initiated and completed by your transmission and transfer case sales specialist who will confirm the application, to ensure our customer is ordering the proper rebuilt transmission or transfer case, the core acceptability, shipping information and payment arrangements. A CORE is the old transmission or transfer case from your vehicle that needs to be rebuilt. At ManTrans, an acceptable core is a transmission or transfer case that does not have the external housing (s) cracked or damaged. There may be a deposit penalty if the transmission core has been disassembled. The core deposit will vary depending on the rebuilt transmission or transfer case you're ordering. Some rebuilt transmission remanufacturing companies will claim that a transmission or transfer case is not acceptable if "hard parts" are damaged. Other transmission rebuild companies do not give customers their core deposits back depending on that company's definition of "hard parts" and their policy regarding core refunds. 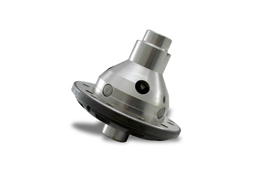 At ManTrans, we expect some hard part damage in every transmission or transfer case core. Our customers will get their core deposit money back as long as the transmission core is acceptable, as defined earlier. ManTrans is in the "rebuilt transmission business". 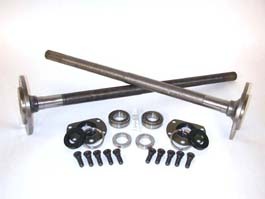 We buy "hard parts" such as new input shafts and counter shafts for all of our rebuilt transmissions and transfer cases. 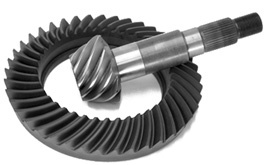 We also buy all forward and reverse speed gears in bulk quantities, direct from manufactures, to keep our rebuilt manual transmissions and transfer cases at reasonable and affordable prices. Although ManTrans has hundreds of in stock rebuilt standard transmissions and transfer cases that are ready to ship, there are some transmission and transfer cases, that are especially hard to find. This may require us to rebuild the core for your transmission or transfer case. In this case our manual transmission and transfer case sales specialist will make the arrangements to have your transmission or transfer case shipped in to be rebuilt. In the event that the rebuilt transmission or transfer case is not in-stock, we have a warehouse full of rebuildable cores. 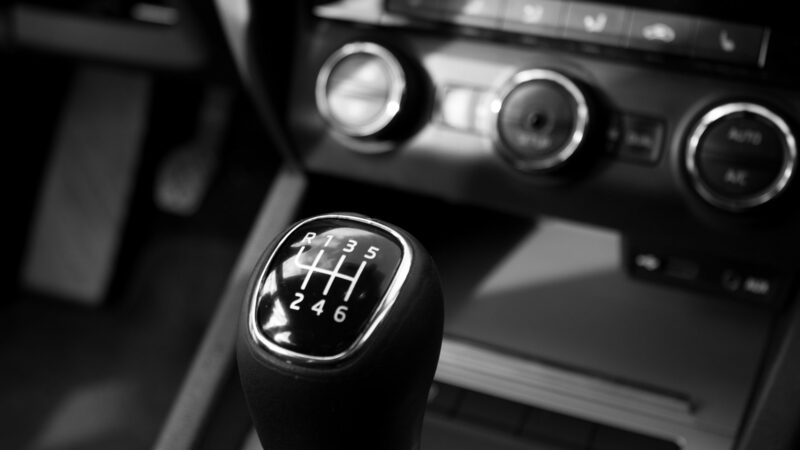 Your manual transmission and transfer case sales specialist will generate a work order to begin the production process. Naturally, production on these orders will not begin until payment arrangements are completed. The production manager receives the work orders and then assigns each work order to the appropriate rebuilt transmission or transfer case technician. The "rebuilder" then requests a manual transmission or transfer case core to be pulled from our core warehouse by our warehouse staff and then taken to the tear down and inspection area. The manual transmission or transfer case core is then disassembled, first to determine the rebuildability of that core. All parts are then thoroughly cleaned and inspected. Transmission or transfer case parts that fail inspection are disposed of and listed on the work order. The work order parts list is then filled with new bearings, synchronizer rings, gaskets, seals, and the necessary hard parts. The transmission or transfer case to be rebuilt is then taken to the appropriate manual transmission or transfer case rebuilder for assembly. Each technician assigned to a rebuilt transmission or transfer case is only assigned the transmission or transfer case that he is qualified to rebuild. No rebuilt manual transmission or transfer case will be shipped until it has passed dyno testing. The shipping department will then prepare each rebuilt transmission and transfer case to ship, either by common carrier or local pickup. This process generally takes only 3 to 5 business days to complete. Tracking information will be available the day after the rebuilt transmission or transfer case is shipped. Experience the ManTrans difference: Experience, Professionalism and Value! Call us @ 1-877-626-8726 TODAY!